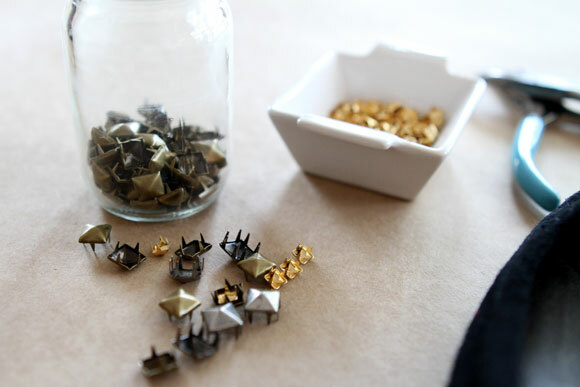 If you'll notice, the pyramid studs have sharp prongs on the back - these are perfect for poking through the leather. 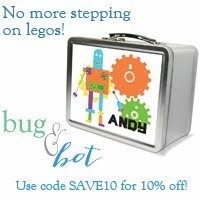 If you can't find them locally, I did a google search and found hundreds of suppliers of all shapes and sizes of studs. This site, albeit kinda scary goth looking, seems to have a wide selection at great prices. The sizes of my studs btw were about 5/8" and 3/8". 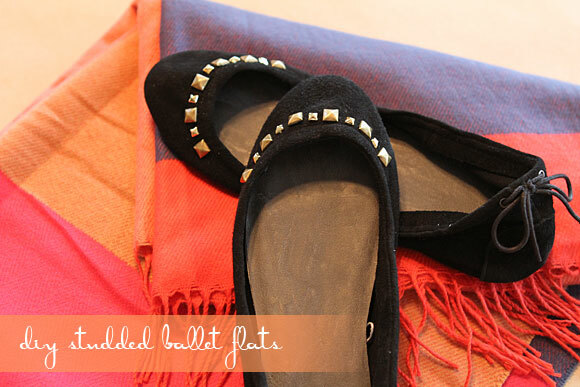 I experimented on an old pair of Gap City Flats first just to make sure the studs would poke through and would not also poke me. Simply poke the stud through the leather. You'll see the prongs come through the back side. Now use your pliers to firmly push them all the way down - you don't want anything poking you. Repeat in whatever pattern you wish, adding as many or as little as you'd like. Keep in mind that with the city flats they are all squished up and so you're going to want to stretch the shoe out as you go so you make sure you get your spacing right. 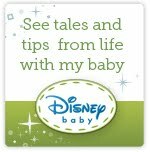 Try them on for size and to make sure they feel good. Yup, they feel nice - SUCCESS! 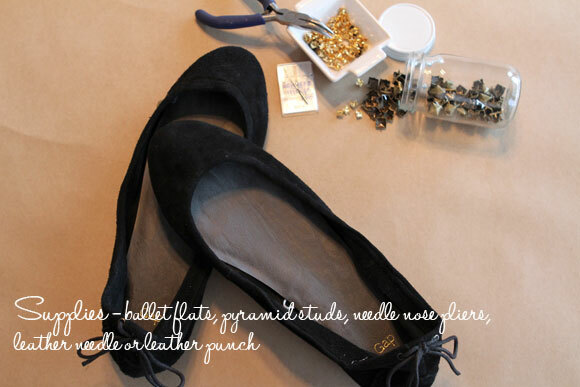 So now I'm going to try attaching the studs to this black suede pair of flats, also from the Gap. I got these for less than $24 the other day. What is it with the Gap lately anyhow? Every time I go in there they're doing some super duper promotion where the entire store's like 99% off. If you ask me they're conditioning us to never pay full price again. We'll walk in tomorrow expecting to get a $69 pair of jeans for $5 and when they say no, sorry, we won't even know what to do. Anyhow....back to the shoes. Sorry. So the thicker suede proved to be a little tougher to poke through, especially for the smaller gold studs I used in this pattern, so I enlisted the help of a leather needle I had on hand from this project. I created a tiny hole for the prong to poke through first. 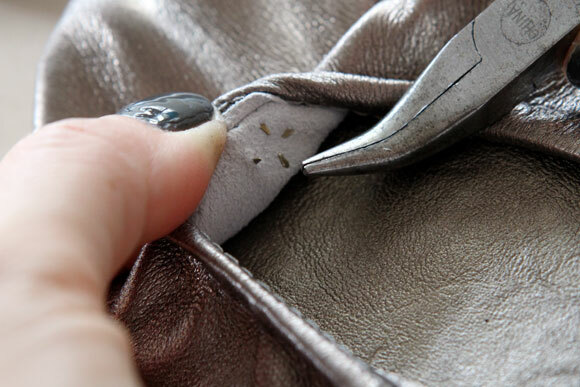 Now I'm all about using what you've got when it comes to DIY'ing, which is why I used the leather needle. I'm sure a leather punch would have been much better suited to the job, but I have no use for a leather punch in the foreseeable future, so leather needle it is. Now often times the studs didn't poke all the way through this thicker suede, which ended up being fine. At first I was stressing about trying to get them to poke through and my fingers really started to hurt. Then I realized by chance that if I just got through the first layer of the suede, then crimp them down, they secured themselves just fine. I created a simple pattern of varying sizes and a matte and shiny gold finish. And I absolutely love how they came out! The gold against the black suede is fantastic and really stands out without looking gaudy or flashy. I swear they look even better on. It got too late and too dark for me to get a picture wearing them today, but first thing tomorrow I'm taking a picture and I'll post it here.